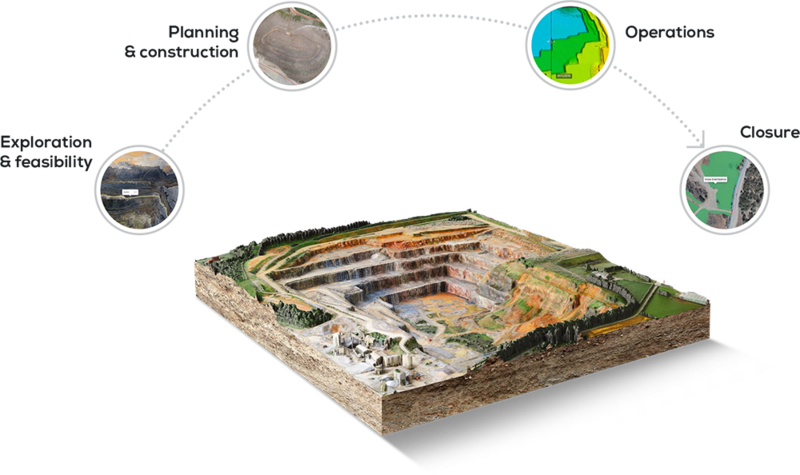 Delair provides aerial intelligence solutions for mines & quarries to rapidly and repeatedly collect and analyze comprehensive imagery of all your sites. The Delair Aerial Intelligence powerful analytics help turn aerial data into actionable business insights, enabling you to improve the operations and increase the safety of your site in a scalable easy way. Visualize inventory and export reports. Measure reserve consumption and mining progress. Analyze haul road conditions to optimize fleet fuel consumption and traffic flow. Plan blasting and track changes over time. Detect non-compliant safety blocks, berms, and highwalls. View impact areas. Conduct safety reviews more comprehensively and frequently to ensure safe operating conditions. Scale across organizations and operations of any size. Cloud-based application allows universal access by anyone, anytime, anywhere. Annotate, comment and share with all your collaborators.